Easy Homes 123 is a homebuilder, realtor and finance company all in one. 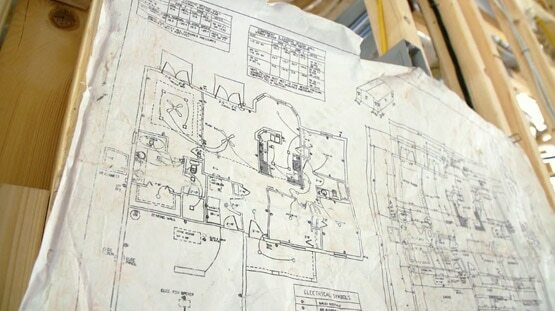 Complete with our own general contractors, inspectors and financers, we place clients into homes as easy as 1,2,3. As a member of the Lakeland Chamber of Commerce, Polk County Real Estate Investors Association, and the Better Business Bureau, Easy Homes has established itself as a business planted firmly on integrity and excellence while providing top-quality, energy-efficient homes for its customers. Using our partnership with Energy Star, green products and Energy Star Certified appliances are implemented into each of our homes in order to create environmentally friendly houses of remarkable workmanship and construction. Easy Homes’ trustworthy, knowledgeable, and personable staff guide clients throughout the process of buying, selling or renting a home with expert assuredness while utilizing local contacts to create swift momentum. Most of Easy Homes’ clients are first time homebuyers and do not understand what to look for in a home. It is our focused desire to educate customers in finding the best fit for their needs and to guide them carefully and thoroughly throughout the lulls and swells of the buying, selling, and/or renting experience. Easy Homes 123 is in the business of improving the lives of its customers. The pinnacle moment of our job is watching clients succeed in making the dream of homeownership a tangible reality. Easy Homes 123 has been helping families move into green, energy-proficient, high-quality homes since 2004. No matter the situation: foreclosure, divorce, relocation or loss of employment we will buy your home and guide you into purchasing or renting a new one. We assist with financing and depending on the case, provide financing ourselves. If a client needs to improve their credit we aid in that process and we will work diligently to help our customers improve credit if they are not ready to buy. Regardless of the condition of your property, its location or price range, we will purchase and help you and your family move into a new home. Save your credit, avoid bankruptcy and evade foreclosure by partnering with Easy Homes. Steve Mitchell is the Owner and President of Easy Homes 123. Born in Tampa, Florida, Mitchell grew up in Plant City and enlisted into the Army after high school. While serving our country, he specialized in Electronic Communications and went on to attend Polk State College to pursue Computer Networking. 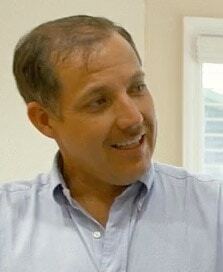 In 2001, Mitchell became interested in real estate and began to rehab properties. He is a certified Residential Building Contractor and is a member of the Lakeland Chamber of Commerce, Polk County Real Estate Investors Association and the Better Business Bureau. Managing Easy Homes 123 gives Mitchell deep satisfaction, he has the honor of witnessing people’s lives improve and communities improve first hand; he is most thankful to be given the opportunity to contribute to the positive change in people’s lives and in the surrounding communities. 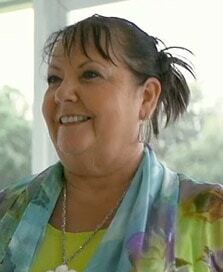 Lynn Browning is manager of Easy Homes 123. A native to Lakeland, Florida, Browning is a member of the American Business Woman’s Association and is on the board of the Lakeland Volunteer of Medicine. After purchasing her first home and experiencing the joys of homeownership first hand, Browning made it her business to pay it forward and help others live the dream of homeownership through Easy Homes 123. It gives her deep pleasure to watch others achieve homeownership and to do so in a quality-built, energy-efficient home. Browning is a devout Christian and fierce businesswoman. She has one son, her partner Steve Mitchell, and five grandchildren. Increase your investment opportunities through Easy Homes 123. Real estate proves to be one of the best investments in Florida, and it will likely continue to be for years to come. Polk County is strategically located in the center of the Florida peninsula. Polk County lies on the Interstate 4 corridor, 25 miles east of Tampa and 35 miles southwest of Orlando. Over three percent of Florida’s entire population resides in Polk County. Polk County provides great investment opportunities for real estate investors. We buy newer block and site built homes in appreciating neighborhoods. We want to finance growth mainly through private lenders. We recognize that this means we will have to build relationships with these individuals over time. Or goal is to give these private lenders safe and secure investment strategies that are tailor made to suit the investor’s needs and expectations. The systems to locate, purchase, manage and occupy properties are already in place and operating. We buy houses in any condition, in most locations and in all price ranges. We will buy your home in any situation; foreclosures, divorce, relocating or lost of employment. We save people’s credit, avoid bankruptcy and foreclosure by buying their house fast! Thank you for your interest in Easy Homes 1,2,3 LLC, We Buy, Sell, Lease, and Manage Homes. We look forward to meeting all your individual needs as an Investor. Let us help you today! What Goes Into A Green Complete House Remodel? When Easy Homes 123 gains a property to remodel and resell, our goal is to provide the greenest home possible, with the end goal being that the future new owner will be able to enjoy the highest possible savings in future energy costs. To do this, we perform a complete house remodel, repairing and improving everything within the home to achieve that goal. This means that we are not only providing affordable homes a new life with a new owner, we are also ensuring that each home we sell has a lesser impact on the environment as a whole. Interested in seeing what a green complete house remodel can do? Easy Homes 123 is dedicated to providing only the best in energy-efficient homes to our clients, call us today for a tour of our available properties. Doing a complete house remodel project on every property means utilizing green principles in every step of the way. From insulation to flooring, from windows to paint, to reduced water and energy consumption, every home for sale by Easy Homes 123 has improvements made to it that is targeted towards reducing the carbon footprint on the environment every day the home is occupied. * We reduce the home’s carbon footprint by lowering overall energy consumption. Existing insulation will be upgraded to environmentally friendly alternatives made from recycled or renewable resources. 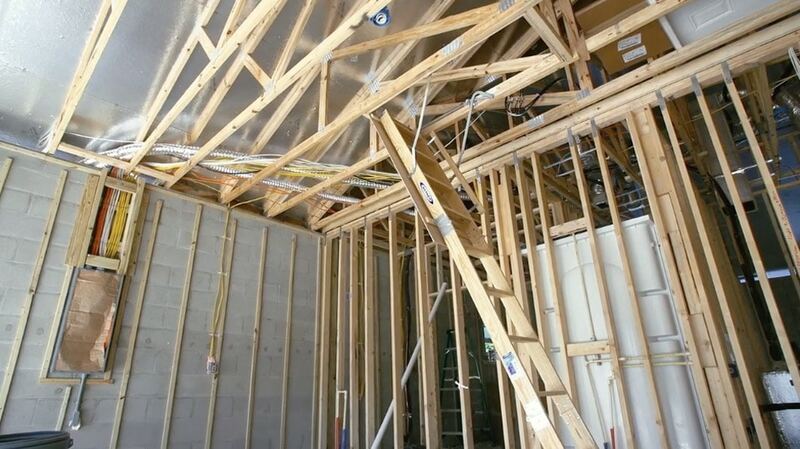 Improved insulation is only the first step towards reducing energy consumption in any home. Repairing or replacing existing windows and doors will also cut down on energy expenses by reducing the amount of seepage from heating or air conditioning. Well sealed and insulated windows and doors can save a homeowner an average of 50% on their monthly bills if done properly. Replacing old appliances with highly rated Energy Star appliances will generate a savings of $20 a year per appliance. The range of available Energy Star appliances used during renovations include: water heaters, furnaces, refrigerators, freezers, washers and dryers, heat pumps and air conditioners. Including the installation of programmable thermostats in each home will further reduce the overall energy cost per month because the inner environment remains stable, and you avoid the energy spikes caused by constant readjustment. Finally, if they need repair or replacement, wall and floor materials will be made up of products from renewable resources that can provide the best insulation possible, in order to further reduce energy costs. Cork and bamboo are just two examples of environmentally-friendly materials that can be used for a complete house remodel project. They are both great insulators, provide sound dampening and are completely hypoallergenic. They also have a high resistance to mold, mildew, warping and insects, making them the greenest choice possible.